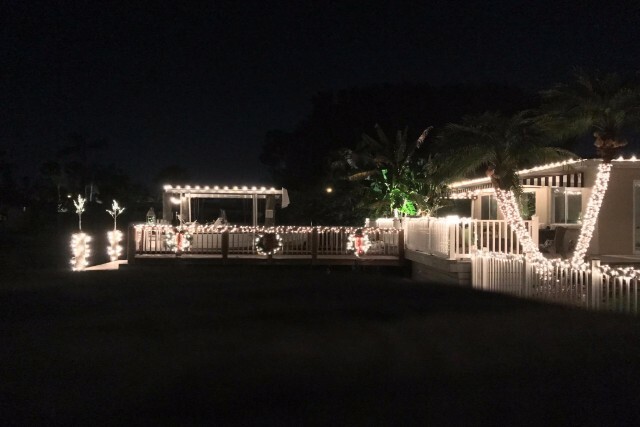 Our boat parade and decorating contests provide Dana Shores residents a very special Florida-holiday season. 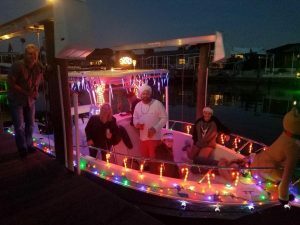 We’d like to thank all who participate from Dana Shores and neighboring communities by boat, on land, and behind the scenes for the great turnout year after year. 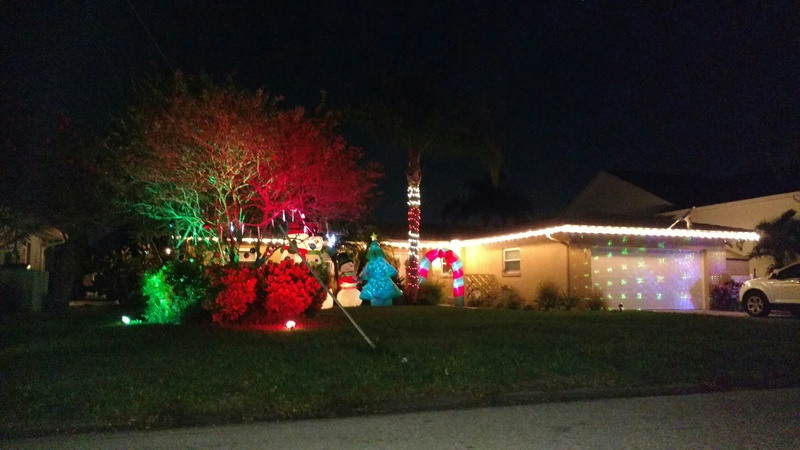 Your creative decorations, festive parties, and organizational efforts bring joy to many. Special thanks to Greg Dorion for orchestrating the parade and congratulations go to our annual contest winners. Thank you to everyone who participated in this year’s boat parade. The Heitler Family (Eden Roc Circle East) won the boat parade and the Harris Family (Pelican Island) was our runner up. We look forward to seeing you both on the waterways again next year! 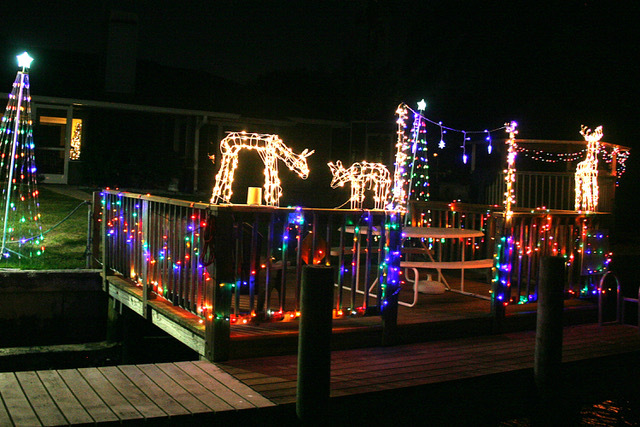 Thanks too to those who participated in our deck-the-dock and deck-the-yard holiday contests. 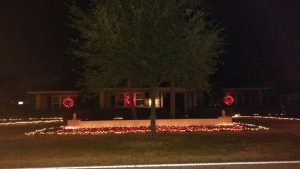 Many residents enjoyed the holidays by taking family and friends on evening rides throughout the community to enjoy the beautiful lights. Special thanks to all captains, crew, hosts, and sponsors. Our 2017 sponsors include Westin, AQUA, Bahama Breeze, Tampa Bay Bait & Tackle, and Portofino’s Italian Kitchen. 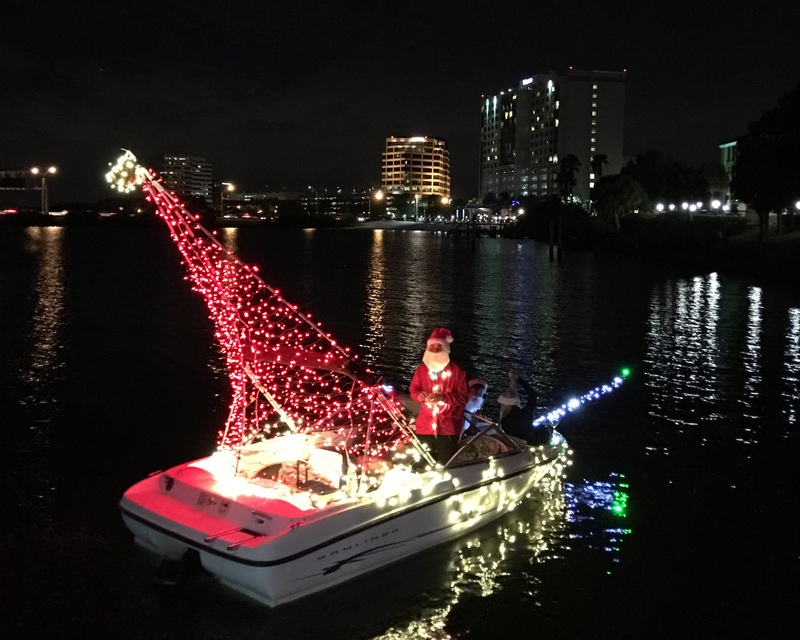 Thank you to everyone who participated in this year’s boat parade! Nearly 90 neighbors cast their vote for the winners: Boat #10 (Mickey & Minnie by John Housand of Bay Crest) and Boat #11 (Santa Hat by Captain Josh Silva, Morgan & Carmen Mills, Otto Rapp and Jeremy Walker of Versailles Drive). The Leflochs won the dock decorating contest (W Eden Roc). The Jabaays are this year’s runner-ups (Americana). The yard decorating contest was won by the Williamses (Dana Shores & Venetian). 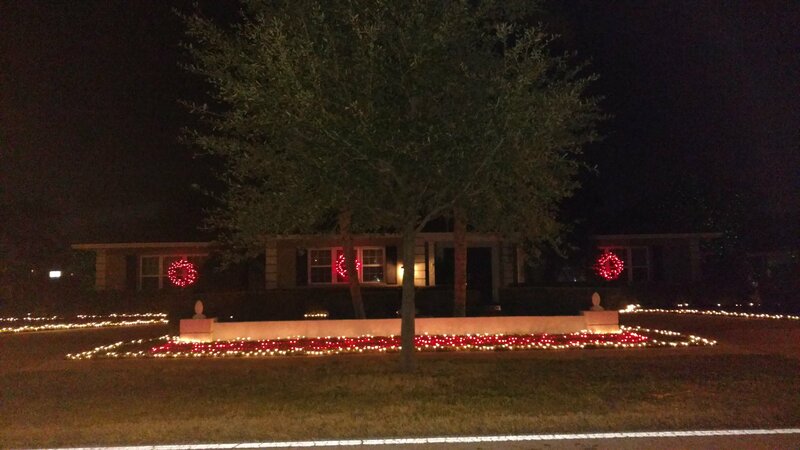 Our runner-ups for the yard decorating contest are the Kings (Versailles). Special thanks to all captains, crew, hosts, and sponsors. Our 2016 sponsors include Bahama Breeze, Tampa Bay Bait and Tackle, Salerno’s Italian Restaurant, and West Marine. 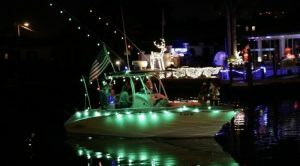 Boat-Parade Winner: boat #9, Rick Noll and James Hanlon (Saltwater Boulevard). 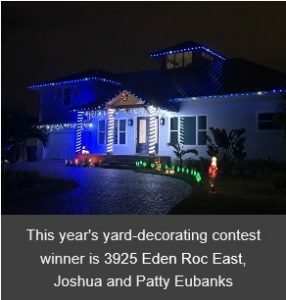 Honorable mentions went to boat #1, Rolando Luis (Versailles Dr.), and boat #6, Josh Eubank (E. Eden Roc Circle). 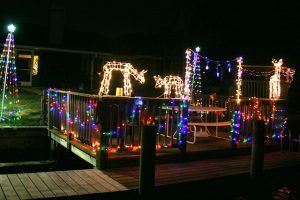 Dock-Decorating Winner: #4, Fran Spiro (Venetian Way). 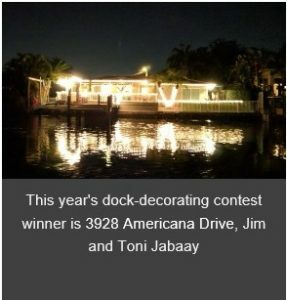 Honorable mentions went to dock #1, Toni and Jim Jabaay (Americana Dr.) and Jeffy Beaver (E. Eden Roc Circle).